Today we’d like to introduce you to Dr. Long Phan. Top Flight Technologies is led by MIT Alumni, Dr. Phan, MIT (BS, MS, Ph.D.), Advisor Professor Sanjay Sarma, MIT and business executive John Polo, a high tech executive former SVP Gartner and Perkin-Elmer. In 2014, Dr. Phan within an interest in commercializing drone technology was approached by former MIT colleague and Lincoln Lab Director Bob Shin, to address the greatest challenges of battery-based drones, extending flight beyond 30-45 minutes, enhancing the ability to carry payload and bring addition power onboard for electronics and auxiliary gear. The Company was founded in March 2014. By November 2014, Top Flight had demonstrated a hybrid-electric engine and UAV capable of flying 2+ hours on a single gallon of gasoline – a world record and glimpse of what could be possible. Over the next year, along with a team of dedicated PhDs and engineers, many also from MIT, the Top Flight Micro Hybrid Generator Engine was fully developed and its patents have now been issued globally. In one of the first implementations of this engine into a UAV platform, introduced in June 2017, the Airborg(TM) 10K, an 8-rotor drone with 3+ hour flight time, 10 kilowatts (KW) of power onboard and the ability to carry up to 21lbs of payload. To put in perspective, a 10KW gasoline generator they buy for emergency power at the local hardware store weights about 200lbs. Top Flight reduced the core technology to 20lbs for flight. This generates extreme heat and vibration that has to be controlled; no easy task. With the Airborg 10K longer distance power line and pipeline inspections can take place. Critical parts and health supplies can be delivered up to 100 miles or in remote locations. Much larger tracts of crops and can be inspected. Perimeter security monitoring can be sustained in hours, not minutes. Portable power generation and cargo can be effectively delivered in 911 and emergency situations without endangering human life. The Airborg 10K enables missions to be flown more frequently and at a fraction of the cost of commercial manned helicopters and fixed-wing aircraft. The ample onboard processing capability enables actionable decisions to be made onboard and in real-time. This is all a game-changer in the Drone marketplace, and no batteries to charge; refuel and go. Top Flight is focused on maximizing the industrial and commercialization of applications in what is known as Agile Aerospace 2.0 – the space between 0-400’ above the earth and sea. Virtually nothing operates there today. This region has enormous potential for UAV applications such as point-to-point and ship-to-shore cargo transport, aerial inspections/search-and-rescue, and creation of emergency aerial communications networks for example. They’ve just begun addressing the needs of governments, global companies and aerial data acquisition and analysis partners that understand that both battery-based and Top Flight’s micro hybrid-engine UAVs create new, and replace existing aerial and ground-based industry applications, especially those that are dull, dirty and dangerous, in very cost-effective ways. Drones, especially the inexpensive hobby-grade UAVs with cameras spooked the public with worries of privacy issues. The FAA in an effort to protect public safety created regulations that forced credible large corporations and R&D companies to flee outside the U.S.A. for even basic aerial testing adding millions of dollars in commercializing industry applications for inspection/surveillance and transport on private property and rural areas that are only being addressed now….and still slowly. Traditional aerospace companies have been largely focused on the airframes – flying taxis and cars – hopeful that the public and investors can visualize the future as prototypes and FAA rules become more defined. Top Flight competes in delivering a hybrid engine based on its patents to power these future vehicles, initially for cargo delivery and applications were cost-effective at a fraction of the cost of helicopters or fixed wing manned aircraft. Hybrid power vehicles have a substantially reduced maintenance and repair cost structure eliminating the need for mechanical gearboxes exponentially growing the market outside traditional aviation. Top Flight Technologies, a Boston-based leading provider of hybrid energy power systems that extend flight times and allow heavier payloads for commercial UAV applications. Top Flight with its largely base of MIT PhDs and engineers solves problems that most companies look at as insurmountable. Its ongoing association with the MIT community and research capabilities create numerous synergies to fast-adapt innovation into commercial solutions. We are thrilled to be a part of the Boston engineering community. It is rich in resources, manpower, prototype and production capabilities for both government and commercial product development. The city government of Malden has done everything humanly possible to support Top Flight. Like all UAV companies we need access to controlled airspace for testing. The city government has been less successful gaining the ear of county and state governments to provide Top Flight controlled access to readily available, and still remote, parks where flight testing can take place. We are hopeful that as Top Flight gains market recognition for Malden, Boston and Massachusetts that this will change. The city government of Malden has done everything humanly possible to support Top Flight. 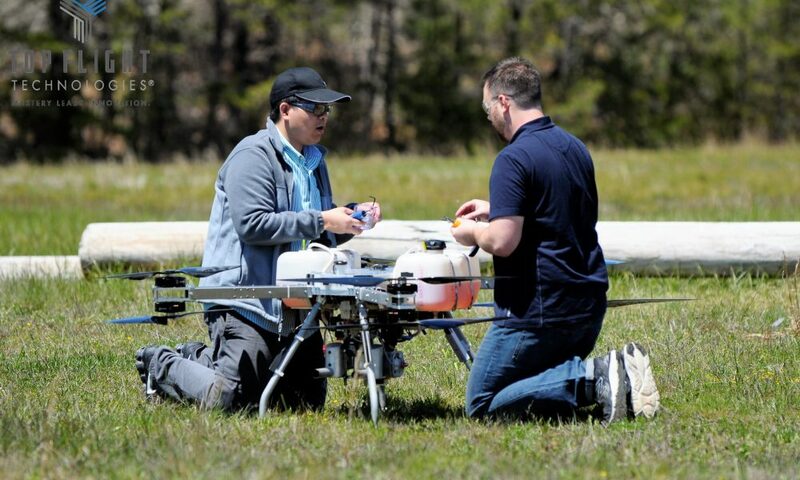 Like all UAV companies, we need access to controlled airspace for testing. The city government has been less successful gaining the ear of the county and state governments to provide Top Flight controlled access to readily available, and still remote, parks where flight testing can take place. We are hopeful that as Top Flight gains market recognition for Malden, Boston and Massachusetts that this will change.